I often talk about physiotherapy, but do you also know there is a respiratory therapist also? If you plan to become a respiratory therapist, you need to know first, exactly what a respiratory therapist is. A respiratory therapist is part of the medical team that aids patients that have respiratory problems. As their title suggests, they provide therapy for the respiratory system. The role of a respiratory therapist is to assist the physician by assessing, performing diagnostic tests, treating, evaluating, and even health teaching. All interventions done by the respiratory therapist is done under the supervision of a physician. The requirements to become a respiratory therapist are minimal. 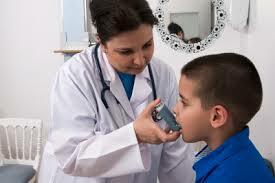 The first and foremost requirement is to got through respiratory therapist training. Respiratory therapist training does not really take that much time to finish. There are vocational courses that you can take which can take as long as three to six months. If you want to get more education, you can get a bachelor’s degree and even a master’s degree. To sign up for a respiratory therapist-training program, all you will need is a high school diploma. Schools that offer this course are medical schools, vocational schools and some colleges. The armed forces also offer this type of training. Once you are done with the training program, you can already find a job. This will only get you to an entry-level position, but that still means that you can get a job. If you are aiming for a higher position in this field, you should consider taking the respiratory therapist certification exam. This may not be required in some states but this will give you a great chance in getting a good paying position. Aside from your educational attainment, you should also consider your physical health. The jopb of a respiratory therapist is not to be taken lightly. You will handle hundreds of patients at a daily basis and not all of them are located in one area. Being physically fit will really help you do your job properly and efficiently. Remember that you are dealing with sick patients and there is a good chance that you will get sick as well if you are not healthy. Another thing about being healthy is that you may need to move patients around. Patients with respiratory problems can have severe cases where they are not able to move about themselves without your assistance. Those types of situations will require you to do some lifting. There is also a good chance of breaking down on the job if you are not emotionally prepared. You will deal with many sad cases and there are going to be times where you will encounter uncooperative patients. The job of a respiratory therapist is to give care to patients and patients come in different age groups, which include the elderly and the children. These are the most difficult types of patients that you may encounter because both age groups are reluctant to be treated because of fear. You need to have the social skills to make them want to cooperate with you to provide the best care they can have. If you are prepared to take this job on then do not hesitate to pursue it.